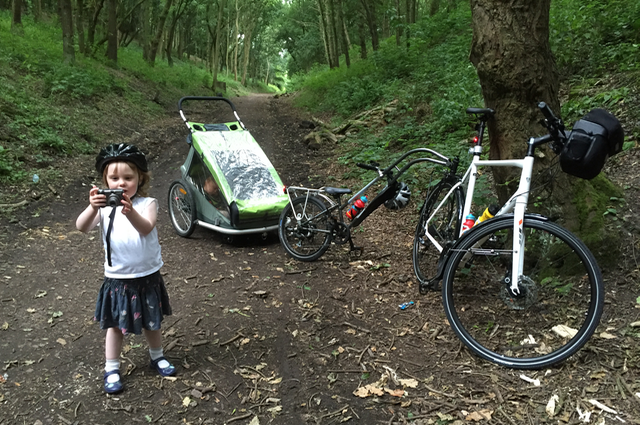 Family ByCycle: Too much, too soon, or too little, too late? Thoughts on childhood and opportunity. Too much, too soon, or too little, too late? Thoughts on childhood and opportunity. We've had some really lovely responses to the video we posted yesterday. @FamilyByCycle This is wonderful, the editing, the narration, everything! It's prompted me to write a little about a couple of fundamental principles we apply - that just because most children of a certain age don't do a particular thing, it doesn't mean ours shouldn't; and that to presume we have nothing to learn from our children limits our own horizons. So often, children of our kids' generation get precious little chance to be children. They are burdened with pressure and responsibility they don't need, given choices to make that would best be made for them, and exposed to things they just don't need to know about. We live in a society that does all that, and then has the temerity to wrap them in the most appalling kind of cotton wool. We're in an era where a parent can believe their irrational fear of the bogeyman can kibosh every other child and their families having photographs on a school sports day - if there are any actual sports at all and if indeed anyone is allowed to win. Children are prevented or at the very least dissuaded from going outside to play, and then left in front of computer screens and televisions bringing them far more risk and brain-rot than they'd have found in the street. It would be all too easy for me just to whinge about that, but we've learned that opportunities to do something about it are still abundant, if parents take it upon themselves to lead from the front whilst the state still lets us (even if it has long since decided no longer to actually advocate this pernicious, maverick approach, or make it easy for working families to do it). The greatest disservice children today suffer from is paucity of expectation, of smiling dream-assassins determining what they may or may not try to do, with a predetermined agenda of troubling themselves as little as possible - and so as a family we delight in setting the bar high, making opportunities and cheering the children on to go for it, because they usually can (in their own way) and because it's exciting! Engaged children are, frankly, much easier to parent, so we're doing ourselves a favour, too. It isn't always easy - one day I will write the blog post about 'taking a child cycling vs going for a ride on your own' - but it's seldom without reward. Few people expect a little girl of three to be riding a trailerbike helping to tow her little sister all afternoon, less still to be learning to read the map as she goes. The faces as we pass people say it all. 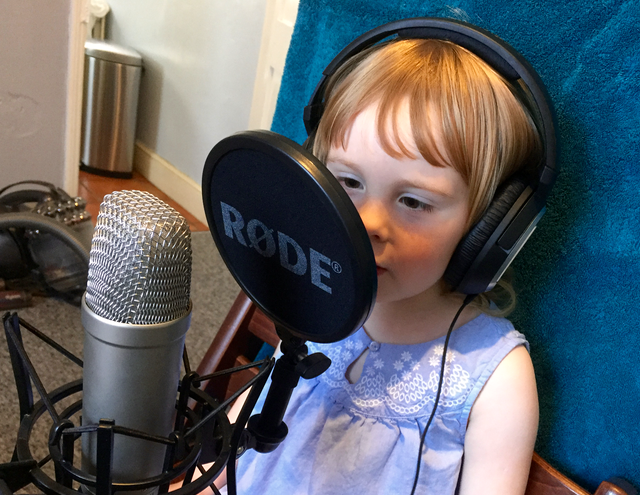 Nobody expects said little girl to help to film, and then record the voiceover for, a film documenting the trip, but as cute as we may think it is (whether anyone else does is another matter - it's our job!) pivotally, Ruth is so, so proud of herself. That little film will now be the springboard to something else. Having tried the trombone, she's asking to learn the violin. Who knows, maybe she's planning to busk round Spain like Laurie Lee, and latterly Alastair Humphreys. Maybe for your family and your children it's not even bicycle touring but some other activity or interest you love, that you want to adapt to make it family friendly. Give it a go! I'm sure you can find a way. One of the biggest motivators for Family ByCycle, is not to say 'look at our kids aren't they incredible' (that's the kind of sickening self-promotional bilge we all whizz merrily past on our Facebook timelines, let's be honest), and in any case we don't hold all the answers, but hoping to encourage other parents 'you can do this, too!' - we dare to dream that we can help build a critical mass of families with children whose horizons are as broad as they can be, who dare to dream, who participate in and explore the world, yes, as children, not as frustrated, stressed little adults, neither constrained to their peer group and the expectations of others. After all, who as an adult surrounds themselves only with people born within a year , and a few miles, of them? Thomas Ivor's talk about cycle touring as a child received a wonderful reception at the Cycle Touring Festival in Clitheroe earlier in the year, and he's delighted to have accepted an invitation to speak at this Autumn's 'Yestival'. We're especially looking forward as a family to participating in the 'Dreamcamp' part of the event, in the hope not only of inspiring kids to think big, look far and aim high, but for the adults to receive from them a healthy dose of childlike wonder and enthusiasm. I'd rather be blindly accused of 'too much, too soon', than any of our family grow old to realise we did 'too little, too late'. Why not join us there and give it a go? * Yes, I know about Pokemon. It will pass. Again. I predict that the gaggle of people staring at their smartphones outside the council offices late at night will not survive a single winter! I agree with every word you have said. Trusting society and expecting your child to do the same will only hinder their abilities. Instead, we should let them explore and do whatever they like, because at this time they can find out who they really are.